With the rise of online video and the dropping cost of flat panel televisions it is only a matter of time until everyone is "watching the web" in their living rooms. Personally, I have found myself watching more and more videos on AOL video, Blip.tv, Revver and YouTube via my laptop hooked up to my LCD TV monitor. I think this trend will continue and SofaTube seems to be ahead of the curve. SofaTube is a product produced by Red Kawa an Ottawa based company dedicated to helping bring rich Internet applications and games to the living room. SofaTube offers a simple Ajax interface with large fonts and easy controls optimized for the "10 foot experience." SofaTube taps into YouTube and Revver for its video content but in testing SofaTube it appears it does not change the quality or resolution of the actual videos. So while you can navigate, search and play videos more easily using SofaTube the actual videos display as if you were viewing them on YouTube or Revver directly - I would like to see this improved. 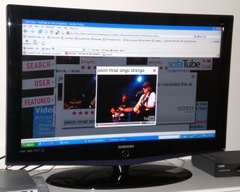 Search Engine Journal gives more perspective on SofaTube. 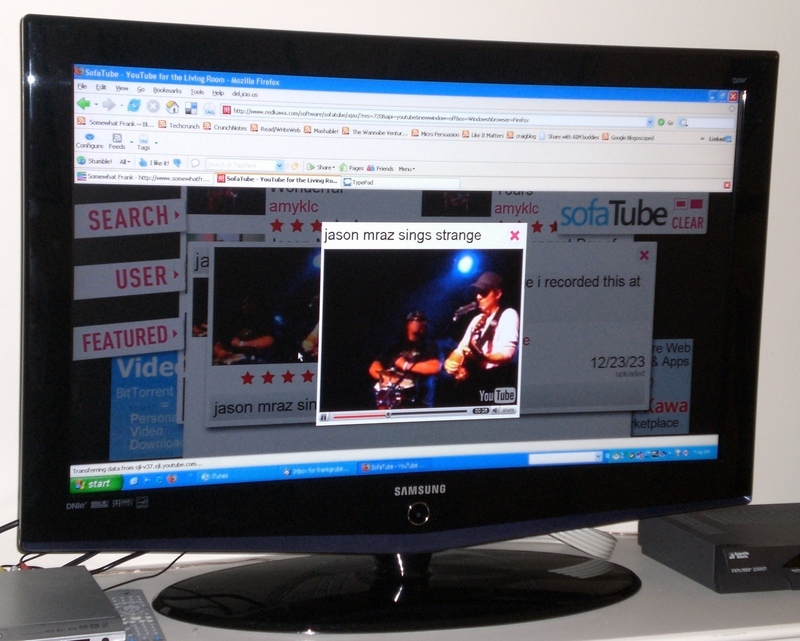 Also stay up to speed with the latest happenings on the SofaTube blog.